Abstract: The article reflects the impact of globalization on local history by putting local history in the wider context of national and global history. The analysis of a storied document — Albert Einstein’s letter to President Roosevelt that originated on Long Island in 1939 — shows how global, national, and local history are intertwined in this letter. The observation that these three historical perspectives complement each other leads to the conclusion that an integrated study of local, national, and global history is not only possible but also preferable. It can bring academic and local historians together and allow teaching American history as well as global history via local history. Either as independent laboratories or as connected nodes, islands are instructive settings. They can be interpreted as sites of natural experiments providing laboratory-like case studies of flora and fauna as well as nature-and-society systems. Finches from the Galápagos Islands have inspired Darwin’s theory of evolution; and the environmental destruction of Easter Island’s Polynesian society has informed Jared Diamond’s theory of societal collapse. Yet islands are not only places of relative isolation but also nodes in variously interconnected natural and social habitats. As focal points in a web of connections, they can stimulate relational studies that illuminate the interactions of local, regional, national, and global structures, forces, and events. Long Island is no exception to the island duality of laboratory and node. The longest and largest island in the contiguous United States, and currently more populous than the world’s first and second largest islands (Greenland and New Guinea) combined, it can be approached either as local or translocal Long Island. Each of these contrasting views can yield valuable insights. However, I would not cast Long Island exclusively in one or the other light, but invoke both perspectives as a rule. Since the early seventeenth century, when Dutch and English settlers began to colonize the island, Long Island has been shaped by an increasing interplay of internal and external dynamics. For four centuries, Long Island’s history has been local, national, and global at the same time. And yet, Long Island history — the history that most of the island’s many historical societies, museums, archives, libraries, and newspapers lovingly pursue and document town by town  — has rarely been studied in the wider contexts of national or global history. National local history and global local history of Long Island have not played much of a role, although placing the history of Long Island in a wider context was an available, and occasionally emphasized, notion for at least a generation. In 1977, Long Island as America was the title of a documentary history of Long Island. In 1988, Roger Wunderlich wrote the words of this intriguing title into the first logo of the Long Island Historical Journal. The intense globalizations of the last three decades have forced the understanding that local, national, and global history are intertwined, that global history manifests itself in local history and vice versa. Where historians have accentuated borders in the past — between villages and towns, countries and continents — we now see natural, political, social, and cultural connections. The same holds true for the historical discipline itself. Historians have become less uptight about the demarcation and singular importance of their subfields, more open to comparative studies, interdisciplinary collaborations, and diverse methods. Globalization has shifted the ground under all paradigms of history and afforded historians the opportunity to de-Balkanize their approaches. If local, national, and global histories are interconnected in reality, historians should be able to defragment these differently focused perspectives in their practice. In the summer of 1939, as in the two preceding years, Albert Einstein left his Princeton home for a summer vacation on Long Island. That year, one of his Long Island visitors was the forty-one-year-old Leó Szilárd, a Hungarian physicist. Einstein and Szilárd knew each other from Berlin, where Szilárd had studied with him, Max Planck, and Max von Laue. Einstein had praised Szilárd’s 1922 dissertation on thermodynamic fluctuations, and both had collaborated since 1926 on the invention of a refrigerator without moving parts. Both men had fled German anti-Semitism and Nazi persecution, Einstein in 1932, and Szilárd in 1933. Yet the reason for Szilárd’s two visits of Einstein in July 1939 was not nostalgia for the heady days of the Weimar Republic, but high anxiety about the prospect of a nuclear-armed Nazi Germany and the hope to enlist the world’s foremost scientist in a daring effort to prevent such a nightmare. The two Einstein-Szilárd meetings link local Long Island history with national and global history. They produced the famous letter from August 2, 1939, in which the German Nobelist warned the American President about the possibility of “extremely powerful bombs of a new type” in Hitler’s hands. Quoted in virtually all accounts of the U.S. endeavor to build the first atom bomb (code-named “Manhattan Engineer District” Project), it has become popular to overstate the relevance of Einstein’s letter for the Manhattan Project. Still, it is a remarkable letter, even if it does not have the world-historical importance attributed to it by the History Channel. The document deserves attention for its fusion of local, national, and global history. The global dimension of Einstein’s letter lies in its international scientific and political context. Modern science evolved as a universal enterprise. The scientific communities of physics and chemistry lived in a common mathematical and experimental environment at least since the nineteenth century. The racial policy of Nazi Germany turned Einstein and many others into refugees from Germany and its vernacular, and accelerated the shift from French and German to English as global lingua franca among scientists and for scientific publications. Szilárd realized right away that a nuclear chain reaction based on uranium could lead to a nuclear bomb. It had already occurred to him in 1933 that a chain reaction could be sustained if an element split by neutrons would emit two neutrons for each one absorbed. At that time, however, he did not know which material would start such a process. Now, in 1938/39, uranium had turned out to be the element that emitted more than two neutrons per fission, plus a large amount of energy. Fearing that German scientists would not fail to understand, and in all likelihood pursue, the military implications of this momentous discovery, Szilárd felt strongly that Nazi Germany could not be allowed to reap the military benefits of releasing nuclear energy. “Hitler’s success could depend on it.” He and his friends and fellow Jewish-Hungarian émigré physicists from Germany, Eugene Wigner and Edward Teller, resolved to inform the political authorities about this clear and present danger. Szilárd briefed Einstein about the possibility “to set up a nuclear chain reaction in a large mass of uranium, by which vast amounts of power and large quantities of new radium-like elements would be generated” (EL; see endnote 5). Daran habe ich gar nicht gedacht! Einstein exclaimed, “I have not thought of that at all.” Yet the moment Einstein realized the likely consequences of nuclear fission, he was ready to put the weight of his name behind Szilárd’s effort to sound the alarm about the peril of nuclear power in Hitler’s hands. 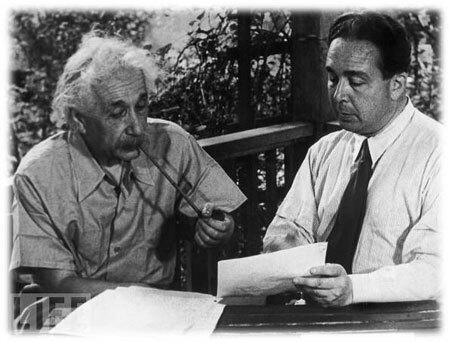 Figure 1: Einstein and Szilárd reenacting their 1939 collaboration in 1945. In the following two weeks, a flurry of activities ensued involving Einstein, Szilárd, Wigner, Teller, and Alexander Sachs, a Lithuanian-born economist and banker with access to President Roosevelt. Sachs convinced Szilárd that the uranium issue was really a matter for the White House. Einstein and the Hungarians communicated in German in their meetings, letters, and telephone calls. Wigner had taken Einstein’s first draft letter down longhand in German. The idea to go directly to the U.S. President with this required a revised letter. As Wigner had left for a cross-country trip to California, Teller drove Szilárd to a second Peconic meeting with Einstein. There, on Long Island, the Hungarians received Einstein’s approval to try to contact the President via Sachs. The global dimension of Einstein’s letter reached into the future of science, science policy, and research ethics. Very little of the physics of nuclear chain reactions was understood in 1939, the chemistry of the fissile isotopes of uranium and plutonium was unknown, tackling the difficulties of industrial isotope separation was not yet a requirement, and the extraordinary financial expenses and organizational feats of nurturing and managing really big science in secrecy were still unimaginable. In 1939, the power of nuclear bombs for defense and destruction was more exciting — or frightening, or both — than the promise of nuclear reactors for peace and prosperity. It drew the best scientific minds in Germany, England, Japan, the Soviet Union, and the U.S. into nuclear weapons and reactor research (not as an end in itself, to be sure, but mainly as an important step on the road to the supreme explosive). The urgency of the historical moment helped pry the door open to nuclear weapons of mass destruction, hide the Faustian bargains, and justify the ethical and moral compromising of nuclear science and scientists with politics. Unrestricted access to uranium ore on the one hand and first-class uranium research on the other had all of a sudden become prime requirements for great power. The reference to the Bohemian mines and the close family connection between a top echelon in Hitler’s foreign office (Ernst von Weizsäcker) and the Kaiser Wilhelm Institute (KWI) signaled that Nazi Germany had the natural and intellectual resources to develop science-based nuclear power. It was rational to speculate that the dinner table conversations in Berlin between diplomat father and physicist son must have touched upon uranium as “a new and important source of energy in the immediate future” (EL). To offset that advantage in the hands of a prospective enemy, Einstein suggested a “permanent contact maintained between the Administration and the group of physicists working on chain reactions in America” (EL). The Einstein-Szilárd urging was prudent and timely. Not in hindsight, of course, since the German nuclear power project did not amount to a military threat during the Second World War. The perceived peril of a German atomic bomb disappeared when it became clear that the German scientists had barely reached “the brink of a self-sustaining chain reaction” in March 1945, whereas their American counterparts had already accomplished this critical feat in December 1942. In the summer of 1939, however, it seemed sensible to connect the ominous dots and call for “quick action on the part of the Administration” (EL). The son in Einstein’s letter, Carl Friedrich von Weizsäcker (1912-2007), was a promising and ambitious young physicist, who had worked on the binding energy of atomic nuclei and become a protégé of Werner Heisenberg. Considering the cluster of excellence in Berlin — especially the KWI for Physics, with which the young Weizsäcker was affiliated, and the KWI for Chemistry, where Hahn and Strassmann had achieved nuclear fission — it was reasonable for Einstein and Szilárd’s “conspiracy” to assume that the scientific elite in the German capital must have had a hand in the decision to seize the uranium from the mines mentioned in the letter. Located around Joachimsthal (Jáchymov) in the newly established Nazi Protectorate of Bohemia and Moravia, these mines had supplied the uranium-rich ore of pitchblende (uraninite) during forty years of groundbreaking nuclear research, ranging from Marie Curie’s discovery of polonium, radium, and radioactive decay in 1898 to the splitting of the atom in 1938. Thus, in 1939, as nuclear science was bound to unleash nuclear energy, Nazi Germany loomed large and appeared to hold the keys to this unprecedented power. Figure 2: Carl Friedrich von Weizsäcker in 1945. 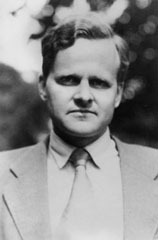 This photo was taken at Farm Hall in England, where von Weizsäcker and nine other German scientists were interned as captives from July 3, 1945, to January 3, 1946. 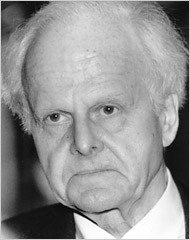 Figure 3: Carl Friedrich von Weizsäcker circa 1988. Disclosure: The author of this article has worked in the 1970s as a Senior Research Associate at von Weizsäcker’s Max Planck Institute for Social Sciences in Starnberg, Germany. Meanwhile, the war in Europe had begun. In September 1939, Poland was overrun and divided by Nazi Germany and the Soviet Union. Half a year later, in April 1940, German troops invaded Denmark and Norway, and in May the Low Countries (Belgium, Luxembourg, and the Netherlands). In June, Paris was occupied and France divided. At this point, the wheels of the U.S. government began to turn on a faster and higher level. Vannevar Bush, a leading electrical engineer and President of the Washington Carnegie Institution for Science, won Roosevelt’s approval in less than ten minutes to create the National Defense Research Committee (NDRC). Set up by FDR on June 27, 1940, the NDRC was ordered to “correlate and support scientific research on the mechanisms and devices of warfare.” Chaired by Bush and managed by eight committee members including top-notch scientist-administrators like James Bryant Conant and Karl Compton (presidents of Harvard University and MIT, respectively), the influential leaders of the NDRC, and later OSRD, rallied the American military, industrial, and scientific establishment for the anticipated war. 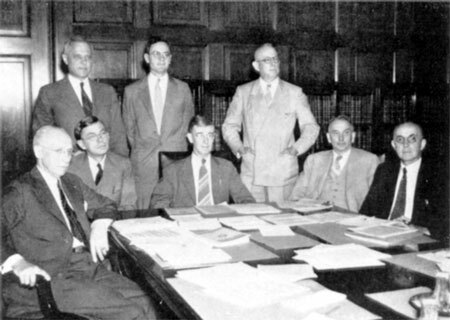 Figure 4: First meeting of the NDRC, July 2, 1940. Seated, left to right: Brigadier General George V. Strong (designated by the Secretary of War), James B. Conant, Vannevar Bush, Richard C. Tolman (Dean of the Graduate School, California Institute of Technology), Frank B. Jewett (President, Bell Labs and National Academy of Sciences). Standing, left-to-right: Karl T. Compton, Irvin Stewart (executive secretary ), and Rear Admiral Harold G. Bowen (designated by the Secretary of the Navy). Conway P. Coe, Commissioner of Patents, is missing. Bush’s highly effective organizations absorbed the Uranium Committee and transformed it from an advisory to an operating body that coordinated all fission research in the U.S. Extensive preliminary studies from June 1940 to December 1941 gave way to a vast and rigorously focused endeavor thereafter. “December 1941 was not only the month in which war came to the United States [Pearl Harbor],” noted Conant in his memoirs, “It was the month in which the decision was made to proceed full steam ahead on the manufacture of an atomic bomb.” Almost exactly six years after Einstein’s letter, the Manhattan Project delivered its bombs over Hiroshima and Nagasaki. The national dimension of Einstein’s letter cannot be divorced from the mental image of the world’s most prominent scientist addressing the President of the United States about a grave matter of national security. However, it would be wrong to assign a decisive role to that letter. American history was hardly accelerated by it. A national effort to win the arms race with the Axis powers and build an atomic bomb would have been launched anyway around December 1941. Counterfactually speaking, one could take away Einstein’s signature and Szilárd’s prodding and not much would change. Yet the same would not hold true for the activities of Bush and Conant. Also there was a letter written to President Roosevelt and signed by Einstein urging support. How much this had to do with the formation of the [Briggs] committee is not important; the committee was formed and did good work. The letter may have stirred the President’s interest; I just do not know. He never mentioned it to me, and I feel that he did not really grasp what might be involved until much later. When he did grasp it, he certainly supported the effort vigorously. The local dimension of Einstein’s letter appears in the typed letterhead of the Nobel laureate: “Albert Einstein, Old Grove Rd., Nassau Point, Peconic, Long Island” (EL). Einstein’s address would have been slightly different today — “Einstein’s cottage was on what is now named West Cove Road in the Nassau Point section of what is now Cutchogue, but was then part of Peconic” — but that is irrelevant. Einstein was here is what counts in the annals of local history. Einstein connected with Long Island and befriended a local storeowner, David Rothman (1896-1981), whose descendents have carried the memory of that friendship to this day. This friendship is Einstein’s significant Long Island history, more important in the context of local history than the letter to Roosevelt. Local Long Island history fondly remembers the mensch Einstein talking “everyday talk” with the postman and sailing Little Peconic Bay in his small boat Tinnef, every so often getting in trouble — capsized, lost, stuck, or hit by the boom — but always luckily rescued by a nearby local lad. Einstein’s combination of global celebrity, unconventional looks, and unwitting talent for generating anecdotes has made him an honorary Long Islander and in general an unforgettable person, wherever he went. The treasured Long Island anecdote that brought Einstein and Rothman together is the “sundial” episode. Figure 5: Rothman and Einstein, September 1939. Photo by Reginald Donahue. From the original negative held by the Rothman family. Courtesy of the Southold Historical Society, Southold, N.Y. The musical soirées did not end that night. Rothman brought additional musicians in and they played chamber music at Einstein’s cottage or Rothman’s house on many more evenings. People around Southold, recalled Rothman, “got to know on what nights the string quartet would be playing, and a good crowd would be standing around outside the house, listening to the music through the windows, or hoping to catch a glimpse of him.” There was no National Public Radio playing classical music all day long, and nobody, or almost nobody, was more famous than Einstein. The only person that beat Einstein in the late 1930s was none other than Hitler — at least at Einstein’s Ivy League refuge. November 28, 1939, the New York Times headlined a report from New Jersey, “Hitler Is ‘Greatest’ in Princeton Poll. Freshmen Put Einstein Second and Chamberlain Third.” American anti-Semitism ricocheted from Henry Ford to Charles Lindbergh  and Father Coughlin, the first mass hate radio broadcaster in the U.S. The Princeton freshmen that voted for Hitler in 1939 were not alone. Rothman was the son of immigrant working-class Orthodox parents. He was not devout himself, but “appreciated the long tradition of Judaism and did what he could to help it survive in the small community in which he lived.” The smallness of the Jewish community on the eastern North Fork is still reflected by the humble synagogue erected in 1903 in Greenport. Einstein was born to irreligious and highly assimilated middle-class German Jewish parents. He had become allergic “against all forms of dogma and authority” in his early teens. Yet when German anti-Semitism rose violently after World War I, he began to identify with his Jewish heritage and even support the Zionist cause that had conflicted with his general abhorrence of nationalism. Einstein’s personal experience with organized anti-Semitism came up on the walks and in the conversations with his Long Island friend. “At one time,” recalled Rothman, “he asked me what I thought about the possibility of anti-Semitism breaking out in the United States the same way it had in Germany.” Rothman thought that this was “highly improbable,” except in very dire economic times, because lunatic movements like the Ku Klux Klan had always been “ridiculed” in the U.S. and “laughed out of existence.” This rather optimistic answer left Einstein unconvinced. “He was always a little bit suspicious about that point,” concluded Rothman. The local dimension of Einstein’s Roosevelt letter is appropriately grounded in Peconic (Cutchogue). Yet the lasting friendship with Southold’s David Rothman has anchored Einstein in Long Island history. The incidental Peconic return address on Einstein’s most famous letter would not have resulted in a deep connection with Long Island. The letter itself did not enter the Einstein-Rothman conversations. However, the discussion of “Jewish” questions in the summer of 1939 and the topic of Russia’s contribution to the war, which Einstein broached in his later letters to “Dear Mr. Rothman,” indicate that the local focus of this friendship included larger issues. The complex whole of local, national, and global history that can open up when one digs into Long Island history is of course not peculiar to this coastal Atlantic island — it is a feature of all local history in these days. No place can be an island to itself anymore: local spells national and global now. The Long Island History Journal will thus retain its particular local focus, however, with a heightened awareness of the translocal currents that have reached Long Island in the past, are present today, and will probably not cease in the future. See Home Town Long Island: The History of Every Community on Long Island in Stories and Photographs (Melville, N.Y.: Newsday, 1999). James E. Bunce and Richard Harmond, Long Island as America: A Documentary History, 1636-1896, Empire State Historical Publication (Port Washington, N.Y.: Kennikat Press, 1977). See U.S. Patent #1,781,541 (accessed 13 October 2009) issued November 11, 1930. For further information, see also Gene Dannen, “Leo Szilard the Inventor” at www.dannen.com/budatalk.html (accessed 13 October 2009). See Einstein’s letter at www.fdrlibrary.marist.edu/archives/pdfs/docsworldwar.pdf (accessed 7 February 2013). I refer to it subsequently as EL (Einstein Letter). The companion book to a History Channel series that aired in April 2006 — 10 Days That Unexpectedly Changed America — hypes Einstein’s letter as “one of the most important in world history;” see Steven M. Gillon, Ten Days That Unexpectedly Changed America (New York: Three Rivers Press, 2006), 186. Gillon, “resident historian” of the History Channel, worked “independently” and did not “share notes or discuss narratives” (ibid., 2) with John Maggio, writer, and Barak Goodman, director, of the Einstein episode — for good reason: historical accuracy is not the film’s strongest quality. The “History Channel Classroom Study Guide,” however, is bad. For example, this teacher’s manual about Einstein’s letter declares, “If it were not for these two men [Einstein and Szilárd], who decided to change the world that day [July 16, 1939, according to the study guide], the Manhattan Project would not have spawned and the outcome of WWII could have been dramatically different.” See www.history.com/classroom/guides/ (accessed 13 October 2009). Gillon dates the 1938 Hahn/Strassmann discovery wrongly as of 1939; see ibid. 179. Richard Rhodes, The Making of the Atomic Bomb (New York: Simon & Schuster, 1986), 292. Walter Isaacson, Einstein : His Life and Universe (New York: Simon & Schuster, 2007), 472. One may wonder if Einstein was as absent-minded and “lost in thought” as often as one reads. In the words of C. P. Snow, Einstein was a “mythopoeic character” — legends grew around him as wildly as his hair. Snow’s impression of the fifty-eight-year-old Einstein from his own Long Island visit in the summer of 1937, which Einstein had spent in Huntington, is worth considering in this context: “He came into the sitting room a minute or two after we arrived … At close quarters Einstein’s head was as I had imagined it: magnificent, with a humanizing touch of the comic. Great furrowed forehead: aureole of white hair: enormous, bulging, chocolate-brown eyes …What did surprise me was his physique. He had come in from sailing and was wearing nothing but a pair of shorts. It was a massive body, very heavily muscled: he was running to fat around the midriff and in the upper arms, rather like a footballer in middle-age, but he was still an unusually strong man. All through his life he must have had much greater physical strength than any of the others I am writing about. He was cordial, simple, utterly unshy: the large eyes looked at me, as though he was thinking: what had I come for, what did I want to talk about?” Charles Percy Snow, Variety of Men (New York: Charles Scribner’s Sons: 1967), 113. Rhodes, The Making of the Atomic Bomb, 305. Source: www.life.com/image/50379994 (accessed 13 October 2009). The rarely mentioned, original source of this make-believe still image is a 1945 dramatization for The March of Time newsreel in which the historical actors staged their Long Island meeting six years later on Einstein’s porch in Princeton. A clip from this production is available at www.thoughtequity.com/video/clip/49312131_022.do (accessed 13 October 2009). “I entered history as Szilard’s chauffeur” (ibid. 307), Teller wryly remarked. He had a 1935 Plymouth and drove Szilárd (probably on July 30) to Einstein. Rhodes writes, “They found the Princeton laureate in old clothes and slippers. Elsa Einstein (sic) served tea. Szilard and Einstein composed a third text together [in German], which Teller wrote down.” (Ibid.) The person that served tea may have been Helen Dukas, Einstein’s secretary, or his stepdaughter Margot Einstein, or his sister Maja, but certainly not Elsa Einstein, his wife, who had died in December 1936. For the German reactor work, see Mark Walker, German National Socialism and the Quest for Nuclear Power, 1939-1949 (Cambridge [England] ; New York: Cambridge University Press, 1989; reprint, first paperback edition 1993), 152. For the American counterpart, see Rhodes, The Making of the Atomic Bomb, 436-442. Szilárd used “conspiracy” in a tongue-in-cheek mode in a letter to Einstein when he introduced Teller (der von Anfang an bei der Verschwörung dabei war = who has been in the conspiracy from the beginning). See Leo Szilard, Spencer R. Weart, and Gertrud Weiss Szilard, Leo Szilard, His Version of the Facts : Selected Recollections and Correspondence, The Collected Works of Leo Szilard (Cambridge, Mass. : MIT Press, 1978), 91. Source: New York Times, Obituaries, May 2, 2007, Douglas Martin, “Carl F. von Weizsäcker, German Physicist and Thinker, Dies at 94,” C17. See www.nytimes.com/2007/05/02/world/europe/02weizsacker.html (accessed 13 October 2009). Szilard, Weart, and Szilard, Leo Szilard, His Version of the Facts, 84. Rhodes, The Making of the Atomic Bomb, 314. See Vannevar Bush, “National Defense Research Committee.” The Scientific Monthly, vol. 51, no. 3, Sept. 1940, 284-285. In June 1941, the Office of Scientific Research and Development (OSRD) with Bush as director complemented the NDRC. Both organizations operated until 1947. Conant became chairman of the NDRC and began to function as Bush’s deputy “for matters connected with the production of an atomic bomb.” See James Bryant Conant, My Several Lives: Memoirs of a Social Inventor (New York: Harper & Row, 1970), 274. Source: Vannevar Bush, “National Defense Research Committee,” 284. See New York Times, Obituaries, December 28, 1990, “Irvin Stewart, 91, Dies; Ex-Head of University,” B4; see also Conant, My Several Lives, 241. Szilard, Weart, and Szilard, Leo Szilard, His Version of the Facts, 152. Vannevar Bush, Pieces of the Action (New York: William Morrow, 1970), 58. Corey Kilgannon, “No Sailor, for Sure, but He Had Relativity Down Cold.” The New York Times, July 21, 2007. See www.nytimes.com/2007/07/21/nyregion/21einstein.html (accessed 13 October 2009). The return address of “Old Grove Road” was probably wrong from the beginning. According to Peter Bucky, the son of Einstein’s lifelong friend and personal physician, Dr. Gustav Bucky, the house was on Old Cove Road and not Old Grove Road: “he [Einstein] absent mindedly wrote his return address as ‘Old Grove Road’.” See Peter A. Bucky, Albert Einstein, and Allen G. Weakland, The Private Albert Einstein (Kansas City: Andrews and McMeel, 1992), 67. The Einsteins and the Buckys summered together on the North Fork in 1938 and 1939. The postman Albert Richmond “delivered Professor Einstein’s groceries, mail and newspapers every day for the two summers he spent on Nassau Point.” In 1991, Mr. Richmond helped to settle the question in which cottage Einstein was summering in 1938 and 1939; see Ruth Jernick, “Postman Settles Einstein Debate.” The Suffolk Times, May 2, 1991. The article carries a contemporary photo of Einstein’s rental cottage in question. Tinnef means “junk” in colloquial German. However, almost everybody who quotes the name of Einstein’s sailboat seems to think that Tinnef is a Yiddish word for junk. For an explanation of German Tinnef and Hebrew Tinnuf, see Philologos, “The Truth About Einstein’s Boat.” The Jewish Daily Forward, August 10, 2007, available at www.forward.com/articles/11338/ (accessed 13 October 2009). The spelling of Tinnef varies: the authoritative Duden Rechtschreibung (19. edition, 1986) spells it “Tinnef.” Einstein wrote “Tinef” as well as “Tineff” in typed letters to David Rothman held by the Southold Historical Society. Einstein could not swim and refused to wear a swim vest. In 2000, one of the local boys, Robert Fisher, recalled that he had given Einstein sailing lessons without much success. The great man remained “an inept sailor” and often forgot to avoid the boom; see Marilyn Weigold, “What He Did on His Summer Vacation: Albert Einstein on the North Fork,” Long Island Forum 63, no. 3 (2000): 24f. Founded in 1919, Rothman’s Department Store is still a local fixture in Southold. It was closed for Yom Kippur on Monday, Sept. 28, 2009, when the author visited the Southold Historical Society archive across the street. For the information and all quotations in this paragraph, see Joan Rothman Brill, My Father and Albert Einstein. Biography of a Department Store Owner, Whose Thirst for Knowledge Enabled His Close Friendship with a Genius Who Changed Man’s Concepts of the Universe (New York, Lincoln, Shanghai: iUniverse, 2008), 3-7. The book’s narrative is interspersed with the transcription of David Rothman’s recollections that were reel-to-reel tape recorded in 1963. 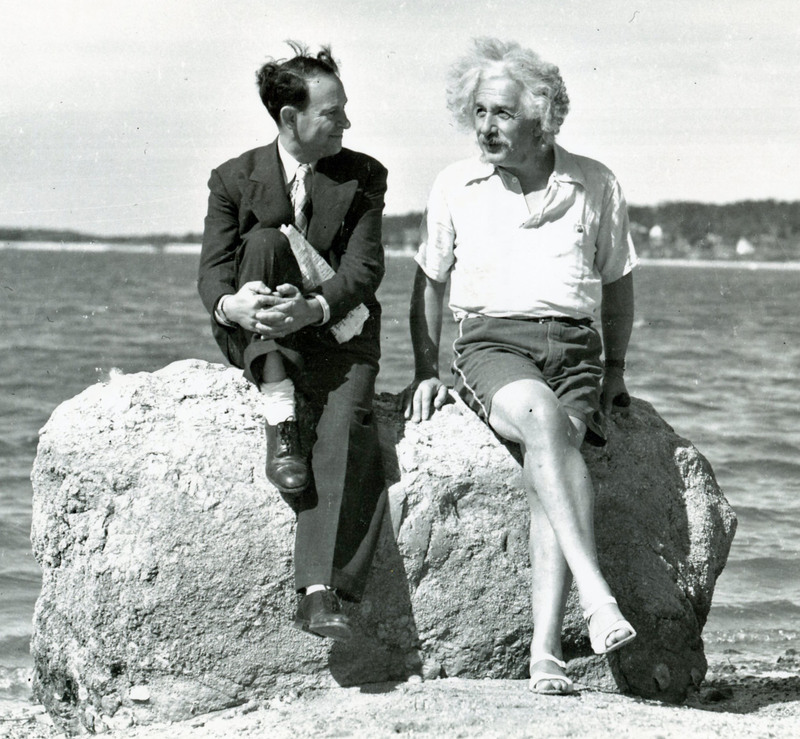 Reginald Donahue, a local photographer, took a number of photos of Einstein and Rothman (including this one) at the end of Einstein’s summer vacation. Rothman remembered the newspaper under his arm: “Under my arm was a copy of the New York Times. I wanted to get rid of it, so I threw it towards the beach. Well, the wind caught it, and separated the sheets, and they flew and scattered in all directions, all over the beach. Einstein said, ‘Look you have soiled the beach!’ And he started chasing after the papers, and I along with him, until we picked up every bit.” (Ibid., 104.) Ronald Rothman, the grandson of David Rothman, has recently pointed out that the sandals that Einstein had bought from David (and is proudly wearing in all these pictures) were size 11 women’s sandals; see “The Real Einstein Sandal Story” at www.rothguitar.com/news/default.htm (accessed 13 October 2009). Peter Bucky recalled Einstein and Rothman “playing duets on the violin and Einstein obviously surpassing the storeowner in virtuosity,” as well as, “the two became fast friends.” See Bucky, Einstein, and Weakland, The Private Albert Einstein, 67. Brill, My Father and Albert Einstein, 9. This was not the first time that Hitler won that poll: “Princeton’s freshmen again have chosen Adolf Hitler as ‘the greatest living person’ in the annual poll of their class conducted by The Daily Princetonian. Ninety-three votes were given to the German Chancellor, as compared with twenty-seven to Albert Einstein and fifteen to Neville Chamberlain in third.” New York Times, Nov. 28, 1939 (see source PDF). Strangely enough, in early August 1939, Szilárd considered Lindbergh (who lived at that time in Lloyd Neck on Long Island) his and Teller’s “favorite” for intermediary, the role Sachs eventually played. (See Szilard, Weart, and Szilard, Leo Szilard, His Version of the Facts, 92.) A few weeks later, Szilárd sent Einstein a speech of the aviator with the comment, “I am afraid he is in fact not our man.” (See ibid., 100.) — After the invasion of Poland in 1939, Lindbergh resigned his military position and began to campaign heavily against the “war agitators,” namely “the British, the Jewish and the Roosevelt administration.” See Lindbergh’s Des Moines Speech from September 11, 1941 at www.charleslindbergh.com/americanfirst/speech.asp (accessed 13 October 2009). In October 1938, Lindbergh dined with Göring at the U.S. embassy in Berlin, where Göring presented him with the Order of the German Eagle on behalf of Hitler. Henry Ford had received the same medal on his 75th birthday in July. When Rothman told Einstein that he “only had an eighth grade schooling” and thus could not grasp relativity theory, Einstein responded, “Upon the other hand, when someone tells me he has had a college education, I am somewhat suspicious!” (Ibid., 90.) One Sunday afternoon, Einstein tried to unravel special relativity theory for Rothman “without the use of mathematics.” (Ibid., 110.) He illustrated his theory with pencil sketches (of a mathematical nature) on a sheet of paper. Rothman kept that sheet and distributed copies of it in 1979, when he spoke about “Einstein as a Human Being” at the Einstein Centennial Celebration at Hofstra University. (Ibid., 111f.) In 2003, the Rothman family sold this document together with a number of letters. (Ibid., 118.) In 2008, the autograph came up for auction at Christie’s in New York and sold for $230,500. A reproduction is available at www.christies.com/LotFinder/lot_details.aspx?intObjectID=5085881 (accessed13 October 2009). Ibid., 22f. and 35. The parents of David Rothman, Chaim Rothman and Baracha Glick Rothman, were born in Poland and Hungary, respectively. David grew up on Manhattan’s Lower East Side, where Chaim was a garment worker. Isaacson, Einstein : His Life and Universe, 21. “There was not one word about that matter at all.” (Ibid., 16.) Rothman’s grandson Ronald has written that his grandfather was at Einstein’s cottage when Szilárd arrived and that Einstein’s secretary came out to tell him “the professor will be busy for the rest of the evening.” See www.rothguitar.com/news/default.htm (accessed 13 October 2009). It is worth noting, perhaps, that Einstein was not talking about the letter to Roosevelt to anybody around him at the time. Cf. Peter Bucky: “It is a tribute to Einstein’s integrity that even though our family and he were the closest of friends and spent that entire summer together, he never divulged the purpose of this or subsequent meetings [with Szilárd]. But their import was indicated by the obvious weight that he seemed to carry on his shoulders for the rest of that summer.” See Bucky, Einstein, and Weakland, The Private Albert Einstein, 68.